I was a Londoner when I first kindled an interest in beer. At the time, there was only one shop for it: Utobeer in Borough Market. More shops began to proliferate around the time I moved away and I assumed that to “browse” beers on the shelf – other than macro supermarket staples – would always mean a trip to London. Of all the home counties, something spectacular is happening in Hertfordshire and Buckinghamshire. 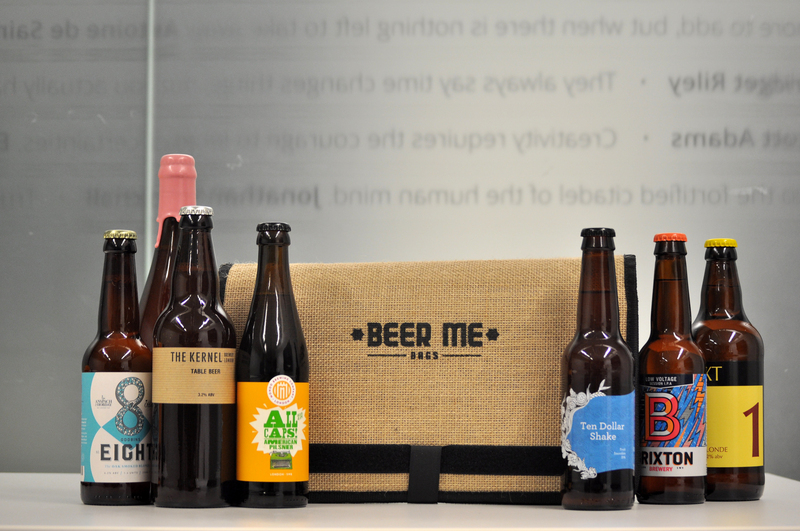 Over the last several years, beer shops have opened up in St Albans, Berkhamsted, Letchworth Garden City and Hitchin (Herts), and Chesham, Amersham and High Wycombe (Bucks). If this catchment could be approximated geographically, it very roughly describes the Chiltern Valley. I’ve done some searching online for these shops’ equivalents in surrounding counties. I find, for example, one in Billericay for Essex and one in Reading for Berkshire (where I once lived), but they’re singular enterprises. Within Hertfordshire and Buckinghamshire, beer shops have happened in spates. Although there are eight stores all within a short drive of each other (more if you include new breweries selling other breweries’ ale in their tap rooms), they are owned by just three concerns. Back in 2013, the Red Squirrel Brewing Co had just relocated from Hertford to Potten End near Hemel Hempstead. This was an example of East coast to West coast before it became synonymous with American IPAs (though long after rap music, which never really got down with real ale). 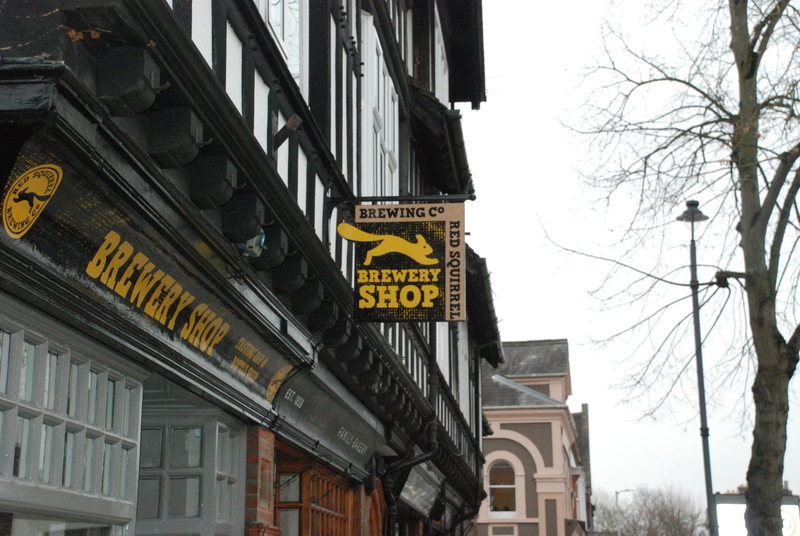 It opened a bottle shop in August of that year in Chesham – the first beer shop. Red Squirrel soon followed up with shops in Berkhamsted and Amersham, and has just opened its newest venture in High Wycombe – the Emporium – which also serves small batch coffee and pizzas. Over the Herts border, John and Ben (the latter working for Tring Brewery – I name them both as I know them and regularly frequent their shop in St Albans) trialled market stalls in St Albans, Harpenden and north London selling bottles from British breweries as well as from Europe, America and beyond. The success enabled them to set up a permanent shop in St Albans in October 2013. 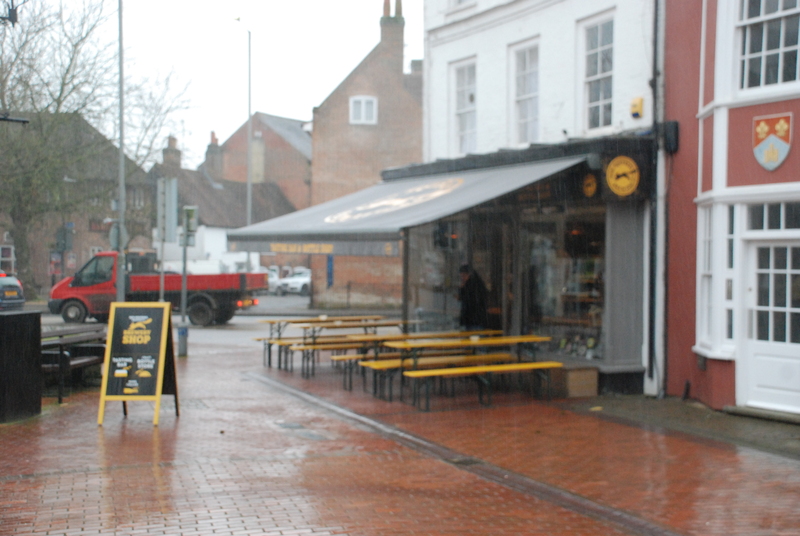 Last year, John and Ben also opened a second larger store in Hitchin to the north of St Albans. In June 2016, a new brewery and tap room opened up in Letchworth Garden City: Garden City Brewery. 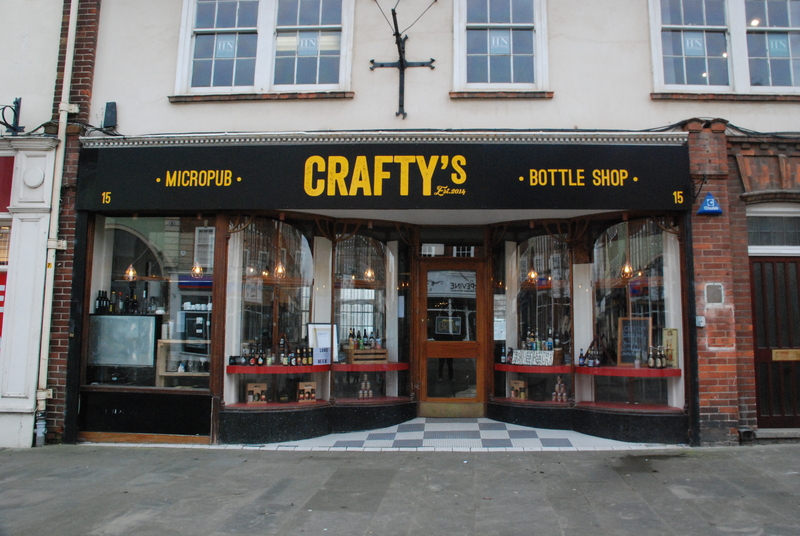 Hot on its heels, and just a block away, Crafty’s Beer Shop opened to the public in what used to be a jewellers’ shop where the display windows lend themselves perfectly to the presentation of gleaming bottles. 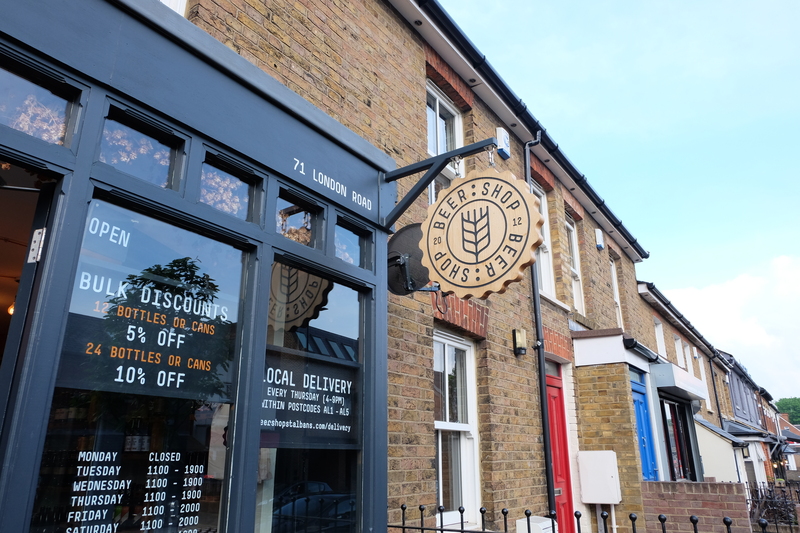 For Hertfordshire alone, I could see similar shops and tap rooms opening in towns like Watford, Welwyn Garden City, Royston (where sadly its brewery Buntingford has ceased trading), Baldock, Harpenden, Tring, and of course, Hertford. I’ve been to the bottle shops in London. One difference between them and their more rural counterparts is that those in market towns are often right in the heart of them rather than out in the ‘burbs or under railway arches. When you join in the cattle-like drove of the customers, you almost start braying. The irony is that when it’s someone else’s market town, you join the herd wide-eyed. When it’s your own market town, you cut an arc around this human infestation in order to reach Tesco’s. 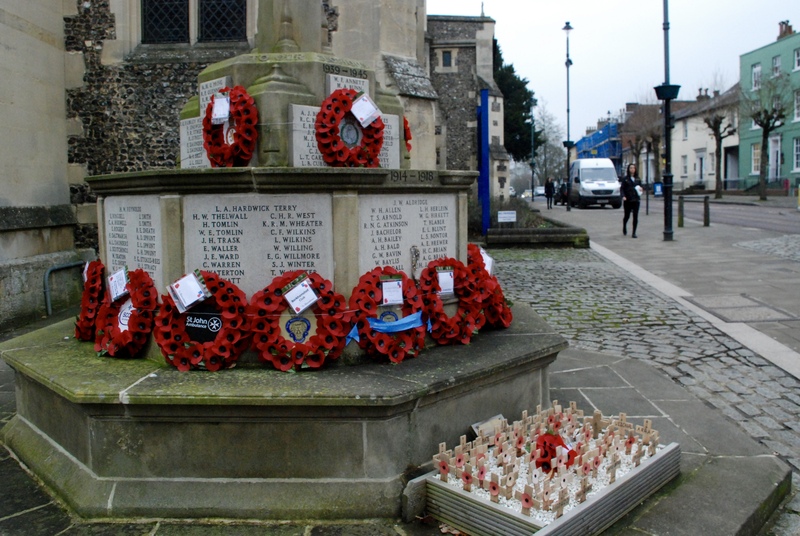 The war memorial – an elemental part of the market town. There’s something special about a bottle shop too. It seems to have come about through cosmic ordering and is rooted in both specialism and localism. I remember visiting a proto beer shop a few years ago in Whitstable. It was an off licence and I say “proto” because there was a specific section set aside for Kentish beer which I was immediately drawn to. The same was true of one in Swanage for Dorset ales. At the time, they could only exist within the structure of a larger off licence. But now the beer has broken free. Racks of wine from Gallo and stacks of Heineken cans are no longer necessary. There’s a more continental feel to beer shops – they often have seating on the cobbles in front. They have come to fruition and are evolving. 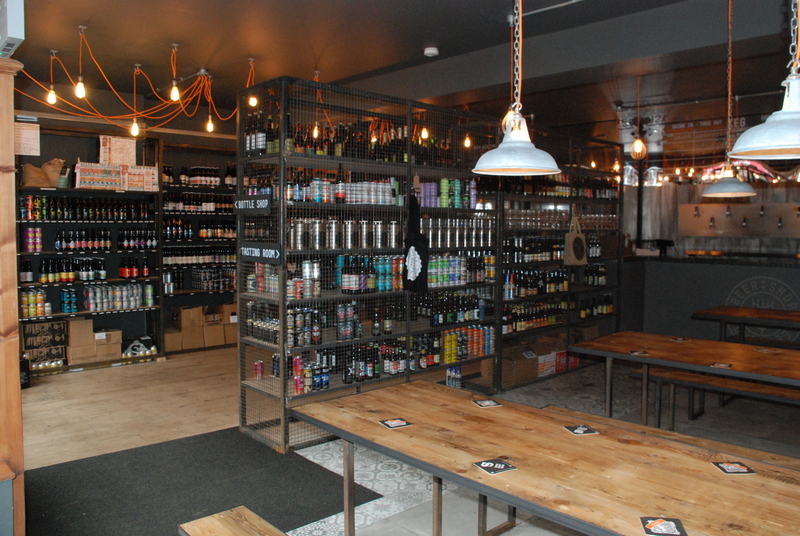 Beer shops blur the edges between brewery tap rooms, shops and bars. This is in the context of supermarkets like Waitrose serving coffee and chain restaurants like Carluccios and Jamie Oliver’s flogging their own products – books, ingredients, cooking gear – within the eatery itself. There is however, no confusion between the experience of drinking in a beer shop and drinking in a pub. This isn’t about the differing licences, either. With a beer shop, there is no illusion that you’re entering somebody’s lounge as there might be when visiting the Red Lion. The foundation here is basically the shop floor. The rest is added benefits. This is a much specialised form of the deli rather than the public house. But maybe you could argue it’s in the eye of the beholder. You also wouldn’t (or shouldn’t) session beer here as you might in a pub as that would defeat the object. It would be like filling cartons with a single sweet at the Pic n’ Mix. Yes, a beer shop is a confectioner’s boutique. I now feel that a market town isn’t complete without one – it fits in with the ethos perfectly. You inspect the wares on the shelves; try before you buy on the taps. What’s good? What’s local? But equally – what’s foreign, exotic and exciting in a sharing bottle? Though I don’t want any more to be lost, the beer shop might one day gain as equal footing in communities as the pub. Let me finish on this as proof of evolution. This is the beer shop in Hitchin. To me, it represents possibilities and the future. This isn’t a pub but a cross between a celebration and an analysis of beer. It’s been thoroughly thought out – the tasting tables separated from the bottle shelves as neatly as pub snugs used to be separated from the public lounge. The thing this establishment reminds me of most is a library – the archiving section and the reading section. This is the kind of set-up you get when you have an increasingly discerning clientele – the browsing and the study. Despite the onslaught of morris dancers, the beer shops in England’s market towns are leading the way. Beer has become a focus and a quest rather than a staple. The beer shop is something new in Britain. 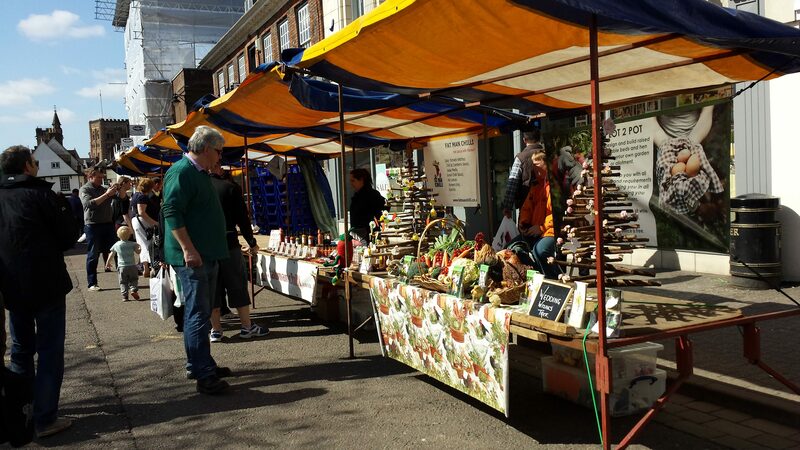 There is, of course, precedent in Belgium but the ones flowering in our market towns are raising the… what’s the word? That’s not as far-fetched an idea as it seems. Chesham and Amersham have one. I could imagine one there too. I work in Ricky and would love one to pop up there. However, have discovered one nearby just outside of Chalfont and Latimer station. Worth a visit. Fantastic! And Red Squirrel (yes I know – now Mad Squirrel) look to be setting up another in Aylesbury soon. I really enjoy your posts, Alec, because as an American I always learn something. This time it’s the term “beer shop,” which I gather both sells bottles and lets customers drink on premise. It may be used in the U.S., but I haven’t heard it. The morris dancers I couldn’t figure out and took to YouTube. Are most of the dancers men? Every morris dance I’ve ever seen has been composed of men but I might have this wrong. One of the images that you see below my website title has a group of women I photographed in St Albans last year. They’re doing a similar thing but without the clashing sticks so maybe there are seperate dances for men and women. One thing I do know is there’s a pretty strict code. I used to work with someone who was a morris dancer. He told me that once he har tweaked the style so all the dancers were dressed like greasers (jeans, slicked hair & leather jackets like John Travolta in Grease). They clashed spanners instead of sticks. It got him into huge trouble with the local morris dance authority (?!). He was almost excommunicated for the heresy. Morris dancers appear in St Albans all the time. The first thing that makes you aware of them is the jingling of bells around the elbows and knees. They always end up in the pub after.